Recently, The Shopper magazine featured the Apple Tree Learning Center Story. learning experiences for infants through Pre-K students, as well as a full-day Academy program for K-5th. Summertime is filled with adventurous Summer Camp activities that involve weekly field trips, in-house events, cooking projects, art projects, and water play fun. 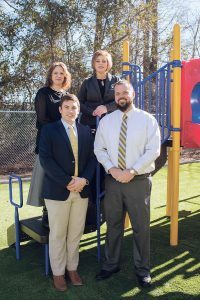 The families at Apple Tree are especially excited about their new location at 1141 Executive Boulevard in the Greenbrier area. The 16,000-square-foot building with all new amenities for the students is home to two separate educational zones—the K-5 Academy wing and the Early Learning section for infants to Pre-K.
With child-sized furnishings throughout, Apple Tree’s new location is built to be kid-centered. “It’s their space and they need it to work and function for them,” Judi Gray, Center Director says. But the facility’s crowning achievement is the brand new 5000-square-foot multi-use gym with half-tile and half-carpeted flooring. “This allows for the students to participate in activities like indoor soccer, basketball, and to have quality physical activity indoors when weather is cold or inclement,” Judi adds. With her eyes always on providing high-quality education, Heidi looks past the new location and its spectacular new gym to even more exciting news. 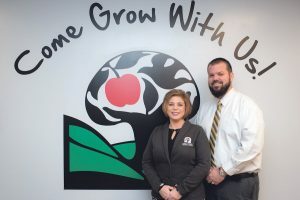 Three out of the six Apple Tree Learning Centers are now fully accredited through AdvancED, a nationally-recognized agency that provides accreditation for schools, Infants through Post Secondary. At Home. A home safety plan is incredibly important if you have children, or even visiting family members. Make sure your first aid kit is well-stocked, and that every member of your family knows where to locate it. Keep a list of emergency phone numbers on the refrigerator, and review who to call in difference scenarios. Keep a fire extinguisher accessible, and become familiar with the instructions. Determine a “meeting spot” that every family member must head to if disaster hits suddenly. A home safety plan doesn’t have to be elaborate, but it could keep a bad situation from getting worse! On Vacation. Whether you’re going to Disneyland, or a week at the beach, making sure your family is aware of a safety plan that can help avoid unsafe situations. Before you head off for your adventure, take note of weather conditions and any activities that could pose a potential danger to your loved ones, and it’s important to talk over a safety plan with your family – especially your children. For example, there may be a strong rip tide on any given day at the beach. A safety lesson of the dangers of a rip tide — explain what it is as well as what to do if caught in a rip tide — and show them the flag that flies to alert the dangers as well as their “safety contact” at the lifeguard station. If you are in a crowded area like a theme park, set a meeting place to gather in the event that someone is separated from your group. It is also a good idea to make note of emergency exits and medical facilities. Every Day. Having a safety plan also means talking to your children about how to stay safe on a daily basis. For example: what should they do if a stranger tries to talk to them? Or even the importance of not looking down at their phone as they cross the street. 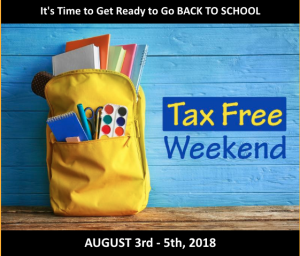 For you, a daily safety plan may mean having a trusted friend, family member or neighbor who can watch your children in the event of an emergency, or even on a day when you are staying late at work. 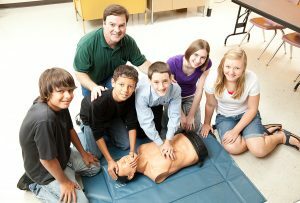 It could also mean knowing a few first aid basics, like how to help a child who is choking or enrolling your teen in a CPR class at the local hospital. Even a seemingly clean house is still susceptible to viruses and bacteria that can affect the health of you and your loved ones. Fortunately, there are ways to combat these hidden dangers. Below are a few examples of the germiest places in your home and easy solutions for keeping them clean and sanitary. 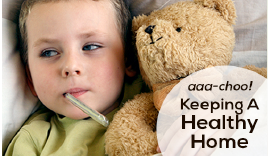 Towels, dish cloths, sponges and countertops where food is prepped – all these areas are hot spots for germs. To combat them, put sponges in the dishwasher with the drying setting on, or zap wet sponges in the microwave for 1-2 minutes to kill bacteria. Use a fresh dish cloth every day, and sanitize in the washing machine with hot water in between uses. Wash out the sink with soap and hot water after preparing meals and washing dishes, and sanitize the sink, drain and counters with a bleach solution at least twice a week. Did you know that there is a tenth of a gram of feces in every pair of soiled underwear? Because of this, underclothing should be washed separately in 150℉+ hot water. Move them to the dryer as soon as the wash cycle is done so germs don’t get a chance to multiply, and run it until everything is completely dry, which usually takes about 45 minutes. When you’re done, always wash your hands with soap and water and use a bleach solution on the washing machine’s tub. Your toilet bowl is not the only source of germs and bacteria in your bathroom. The flush handle on your toilet is often forgotten, and is one of the easiest ways to transfer sickness from person to person. The best way to cut down on bathroom germs is with weekly disinfecting of the floors, tub/shower floor and sides, and the toilet (including the flush handle). The holiday season is wonderful for spending time with family and friends, catching up and relaxing. 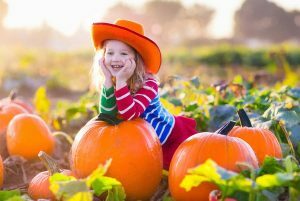 As you grow older, this time of year can bring back fond memories from your own childhood as the weather gets colder and the holiday sights and sounds appear. 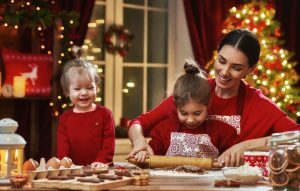 If you are now the host for the holiday activities, it means that you are now the maker of memories for others – and you are in charge of what may become a tradition in their future. Baking together. This is one tradition is great for the whole family – adults enjoy a taste of their childhood with a treat they wouldn’t normally make, kids spend more time interacting with family and away from the television, and grandparents get to bond with those they haven’t seen in a while. Picking out the tree. Whether you put your tree up as soon as Halloween passes, or wait until the week before Christmas, everyone has their own tradition for picking out the tree. Create your own by making sure your entire family is present and decide together which tree will be your holiday centerpiece this year. Choose a cause. The holidays are also a great time to give back. Pick a cause that your family is passionate about, and volunteer or make a donation in your child’s name to create a new tradition and teach them values that will last a lifetime. Open a gift early. Want to extend the excitement of opening gifts? The tradition of opening a gift early will be one your kids will definitely remember and will help keep the holiday cheer around longer. Believe it or not, if you haven’t prepared YOURSELF for this major change in your daily life, your child can and WILL pick up on this. Even if you are nervous (as you most of us are) make sure that you exude a sense of calm and confidence – and watch what you say to friends and family – especially when you’re little one is near. Children need to know what they are doing, where they are going, and what you are expecting of them. Be sure to set up a routine – even for the youngest of the bunch. This will not only ease the chaos in the household but will also boost awareness of the routine that is exhibited in the classroom. Here’s a simple, yet effect morning routine that can easily be adapted to all age group: eat breakfast together, prepare a lunch or discuss the school lunch menu for the day, set a spot for school gear and have each child gather their things, double check for any missing items, and happily leave the house for a day of learning and friendship! 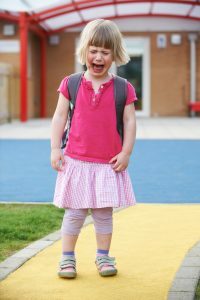 Once again, when you leave your child in the classroom, they can feel your anxiety. Be sure to hug and kiss your child goodbye, assure them that you will return shortly, and walk away without any lengthy goodbye. Don’t sneak out without saying goodbye, this only makes things worse. You don’t want your child to feel abandoned or tricked. You also want them to know what to expect, including a loving goodbye. One thing to remember is that kids adjust to new environments on different timelines. If you notice that your child is having a harder time than the others – don’t worry, this process can take a few weeks. Let them adjust at their own pace, your gentleness and patience will help this life lesson be a wonderful experience.